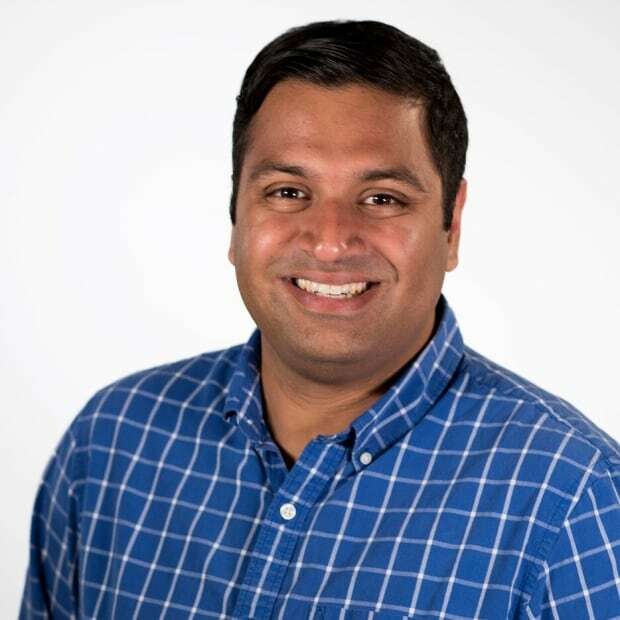 A mall food court isn't exactly the place where you'd think Jonathan Pinto would find the inspiration for his latest local food story — but that's exactly what happened. The mall food court is pretty much the domain of chain restaurants. There's nothing wrong with them, or the food that they serve, but when it's your job to focus on stories of unique local food, the mall isn't a place that I expect to find much to talk about. So when I noticed a vendor called Pepitos Grilled Subs open up in Devonshire Mall's sparkling new food court, I figured it was a chain similar to Subway or Quiznos. 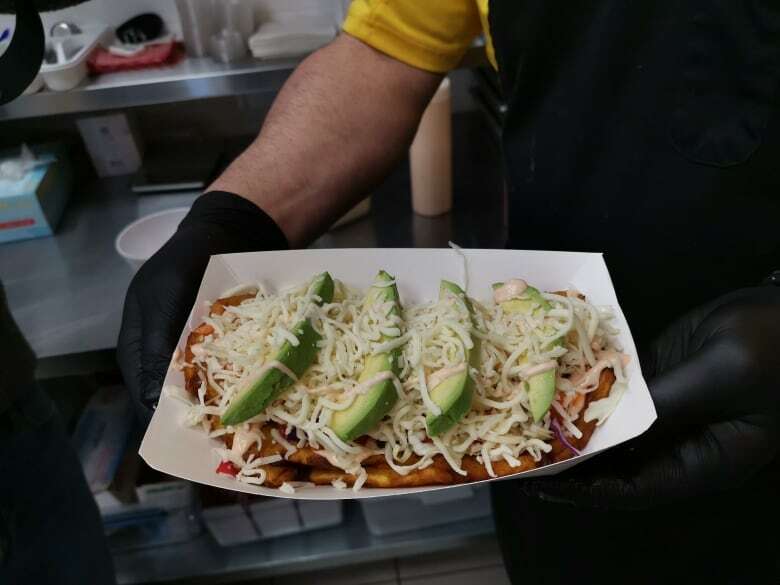 It turns out that Pepitos is an independently-owned restaurant that derives its name from the word Venezuelans use to describe street-food sandwiches. "If you want to eat something quick and fun and go out with your friends, you go and say, 'I want to eat a pepitos,'" explained Jenny Boutros de Collura, who owns the restaurant with her husband Salvatore, cousin Elias and his wife Laura. Served hot, the sandwiches are not at all like your classic cold-cut. They have meats ranging from spicy chorizo, lamb and beef, with toppings such as avocado, pineapple, peas and gorgonzola. Tap to hear Jonathan tell Afternoon Drive host Chris dela Torre all about the restaurant. When asked how they managed to get a spot in some of the most prime retail real estate in the region, Boutros de Collura said it was simply a matter of hearing about the potential vacancy and making a call to the mall. "Devonshire Mall brings a lot of people from different cultures," she said. "What better place to introduce our food?" The restaurant opened in December, focusing exclusively on the sandwiches. 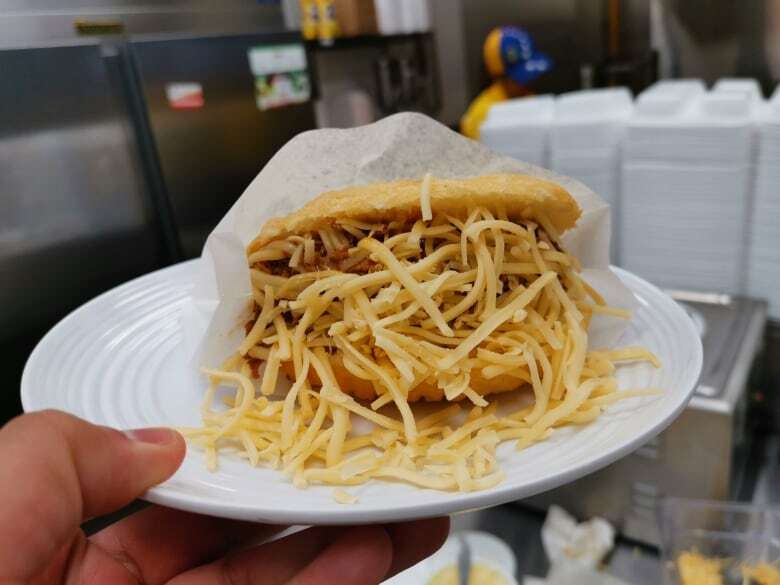 Within a few weeks, however, members of Windsor's Latin American community urged Boutros de Collura and her co-owners to expand the menu to include other Venezuelan items — especially arepas, an iconic dish that consists of a fried or grilled corn flat bread stuffed with meat and cheese. They agreed, and added other items such as boiled and fried yuca (cassava root) and empanadas, a type of Latin American pastry. The suggestions continue to roll in. Patacones, a twice-fried plaintain dish, is a popular off-menu item that the owners plan to add to the main menu soon. Boutros de Collura said they've been blown away by the response from local Venezulans and other Latin Americans to their restaurant. "I didn't know there was so many [members] of the Venezuelan community in Windsor!" she said. With economic and political crisis currently gripping the South American nation, Boutros de Collura, who still has family in Venezuela, said the food court has become a bit of a hub for local Venezulans-Canadians to meet and discuss the problems facing their homeland. "Everybody's going through the same situation, so we became like a big family," she said. "The situation [there] right now is not that great. That's why we opened this [restaurant to] remind us where we come from and what we missed; a little bit of hope that someday everything gets well over there." A few weeks ago, members of the community gathered at Jackson Park to protest the conditions in Venezuela. After it was over, many went to the mall to feast on arepas. Pepitos Grilled Subs is located at 3100 Howard Ave. in Windsor, inside Devonshire Mall.